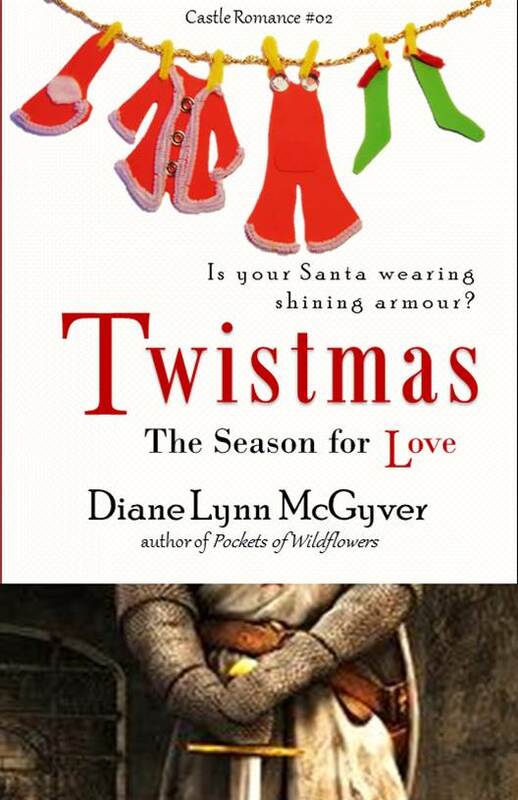 Twistmas – The Season for Love by Diane Lynn McGyver is available starting today at CreateSpace. It will be available soon through Amazon.ca and Amazon.com. Links will be updated when they become available. If you missed the first chapter of this seasonal adult romance, click here. Jan returned the digital camera to the display cabinet. She rearranged the matching 55mm lens, adjusted the case and propped up the price sign that had fallen when she extracted the item to show a customer. The countdown had begun: fifteen shopping days left until Christmas, including today. Saturdays had been the busiest shopping day of the week until that MacDonald premier decided to make it a free-for-all and allow shops to open every day of the year except November 11th. Retail employees weren’t guaranteed to get any statutory holiday off to spend with their family. “Well…” He glanced around to see who might eavesdrop, then leant forward and spoke in a hushed voice. “My girlfriend was a little wasted and…well, I wasn’t bad either.” A big, stupid grin spread across his face. “We got into some stuff, and when I bent over her, it fell in the toilet.” He didn’t appear embarrassed to admit he did stuff with his girlfriend on the toilet. “Did you get it out of the water right away?” She had no patience for ignorance, and this was what this conversation would reveal. “Can you take a look?” He dug into his torn jeans pocket and extracted a slim camera. He set it on the glass counter as if he presented a fine sample of jewellery. The device appeared to have gone through the wringer more than once. Jan swallowed to keep her tongue from saying something it shouldn’t. She picked up the camera, flicked it on and nothing happened. This model cost about $150. Obviously pocket change for the ignorant kid in front of her. Or it had been a gift from a parent who would no doubt shell out more money to feed his immaturity. She opened the battery compartment, extracted the two AA batteries and inserted a new set. Still nothing. “We tried that.” He looked confident as if he had never struggled to push open a door when the sign clearly stated pull. Jan caught movement to the side and looked to see her daughter and her sister walk into the store. Emmie would finish the rest of the shift with Jan while Lorette went to work. She returned her attention to the customer. “Sweet. A Christmas gift in the making. I didn’t like it anyways.” He slipped the broken camera into his pocket. “Still makes a good puck.” He turned and left the store. Jan watched him saunter away, flicking dangling price tags and making others veer out of his path. He needed a good dose of reality and a shot of maturity. “Hey, sis, gotta run. Traffic was hellish,” said Lorette. “It’s that holiday spirit you spoke of making them so happy and giving that drives them out.” Jan grinned and winked. “With my luck, his nails would be longer than mine, and he’d have fangs out to here.” She held her hand several inches from her mouth. Thank you for reading Chapter 02 of Twistmas – The Season for Love.